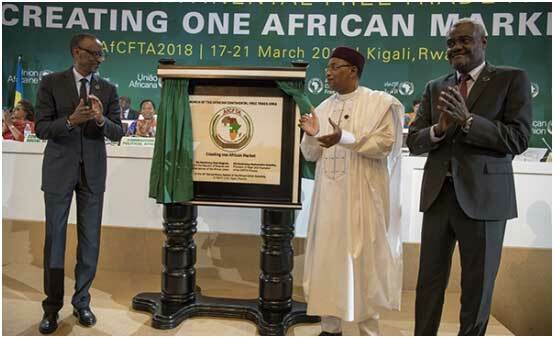 UNITED NATIONS, Nov 15 2018 (IPS) - Following the unveiling of the African Continental Free Trade Agreement in Kigali, Rwanda, in March 2018, Africa is about to become the world’s largest free trade area: 55 countries merging into a single market of 1.2 billion people with a combined GDP of $2.5 trillion. Yet many of these products are produced much closer—in Ghana, Morocco, Nigeria, South Africa, and other African countries with an industrial base. By July 2018, only six countries—Chad, Eswatini (formerly Swaziland), Ghana, Kenya, Niger and Rwanda—had submitted ratification instruments, although many more countries are expected to do so before the end of the year.